Clean. Near most destinations. Good restaurants near by. The room was clean and the beds were comfortable. The shower was lovely. Over all a good place to stay. 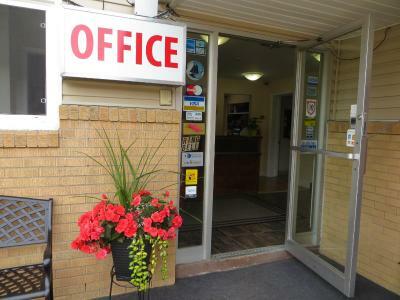 Location is perfect for getting to the highway, to downtown, for shopping and restaurants. The rooms are clean, cool, with new towels. Fridge was helpful too. And the price is right. Loved the price; liked the location, liked that there was some room designated for smokers - we are not modern day lepers! Staff was very friendly; and they are doing upgrades to the rooms! I stayed here in May 2018 and it looked like it was just renovated. The room I stayed in was new and very nice. Convenient location, good rates. Just what is needed for frequent visits to Halifax. Housekeeper was very helpful and pleasant. Location was good as it wasn't far from where we needed to be everyday we were there. 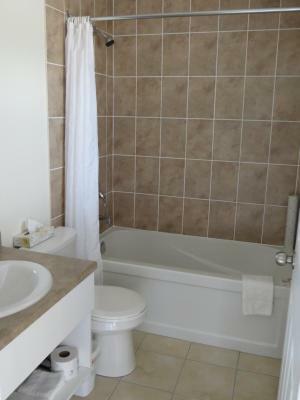 It is conveniently located near amenities. Grocery store is just a few blocks away and there are restaurants that deliver right to the door. There was a terrific Thai restaurant attached to the motel. Stardust Motel - Bedford This rating is a reflection of how the property compares to the industry standard when it comes to price, facilities and services available. It's based on a self-evaluation by the property. Use this rating to help choose your stay! Casino Nova Scotia is 18 minutes from this motel in Bedford, Nova Scotia. 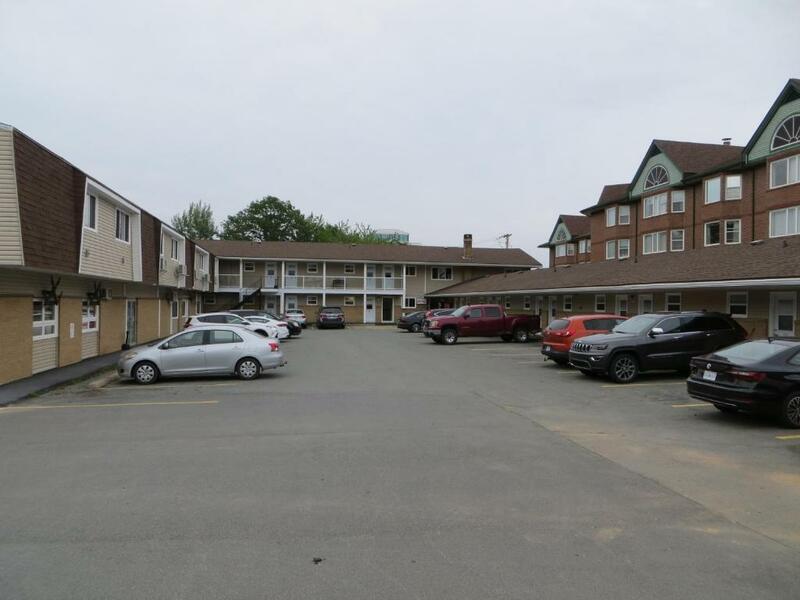 The motel features an on-site Thai restaurant and guest rooms provide a kitchenette and free WiFi. Stardust Motel – Bedford includes rooms with a 4-burner stovetop. 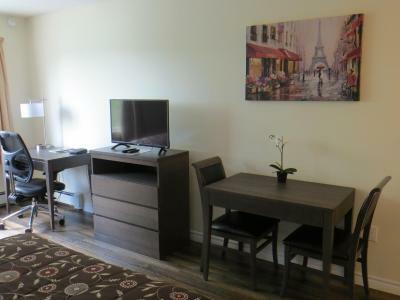 Each air-conditioned room also offers cable TV and free local telephone calls. Housekeeping service are provided daily. Metro Center is 16 minutes from the motel. Citadel Hill is 15 minutes from Bedford Stardust Motel. 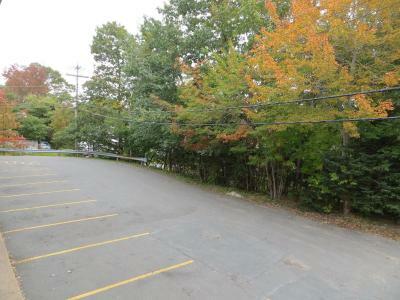 Halifax International Airport is 17 minutes from the property. 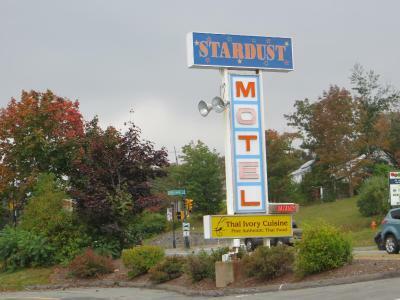 When would you like to stay at Stardust Motel - Bedford? This room features a kitchenette with a fridge and a stovetop. Cable TV and a sofa are also provided. Please note, maximum occupancy for this room is 2. Extra guests cannot be accommodated. The rates are for single/double occupancy. The room can accommodate a maximum of 4 people. Please see hotel's policies for extra person charges. This room includes a 4-piece bathroom, a love seat, cable TV and free WiFi. House Rules Stardust Motel - Bedford takes special requests – add in the next step! Stardust Motel - Bedford accepts these cards and reserves the right to temporarily hold an amount prior to arrival. The pillows were not comfortable and the hot water took a long time to heat up. I was impressed with the cleanliness and the service when required. 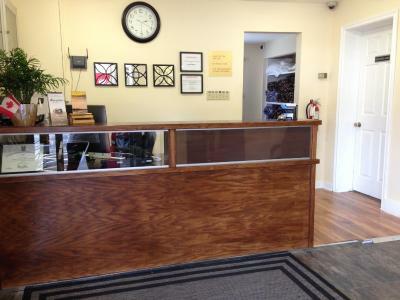 Great location, quiet location, bright spacious super clean room, comfortable bed, free Wi-Fi, lots of parking . We would prefer a dark room at night so no night light. Plenty of space for our clothing, super comfortable beds, very quiet room, excellent house keeping and very friendly staff. The front desk clerk was as rude as you can possibly imagine. When I asked how to turn the heat on in the room, I did not understand the instructions we was giving me. The room was uncomfortably COLD. By the time we got the situation cleared up she had told me to "F" off at least 5 times. I kept calling the front desk to have this resolved and she would pick up the phone and hang it back up. When she finally did answer after 7-8 of my attempts she told me she was going to call the RCMP and have us evicted. She told me to leave but she wasn't getting my money back. It was something out of a horror movie. The room was filthy, there was only ONE towel and the pillows were like envelopes. I'm not 100% sure but I think I say a mouse run out of the room so we stuffed the extra blanket in the door way. Needless to say I do not recommend this room and I think the place needs to be shut down immediately. I am working with the Better Business Bureau to have this place investigated. Don't stay here no matter how desperate you are for a place to stay - do yourself a flavor. I cannot think of one positive thing to say about my stay. It was a stay from hell. My husband has bad legs. Could only get second floor walk up. Could not bring our suitcases up. But it was clean and staff was great. Staff was very nice and helpful. Full house! Absolutely nothing..i would not return. No electrical plugs in the room!! The t.v was difficult to work. The room was nice and clean, the beds very comfortable, what else can one ask for.